Özlem Tokuşoğlu (Associate Professor Dr.) was born in Izmir, Turkey, completed her bachelor’s (1992) and master’s (1996) at Ege University in the Department of Chemistry and also completed her PhD from Ege University in the Department of Food Engineering (2001), Izmir, Turkey. She worked as a researcher at Ege University from 1993 to 2001. She professionally officiated at the Food Science and Nutrition Department at the University of Florida-Gainesville, Florida, USA as a research associate during 1999–2000. 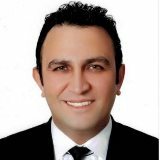 Dr.Tokuşoğlu has worked on the faculty staff as an assistant professor at Celal Bayar University, Manisa during 2002–2007, Turkey. Tokuşoğlu, is currently also working as associate professor, faculty member in the Department of Food Engineering of Celal Bayar University from 2007 to now. She’ll be full professor at December Tokuşoğlu was a visiting professor at the Food Science and Nutrition Department at the University of Florida, Gainesville, Florida, USA during 1999–2000 and at the School of Food Science, Washington State University, Pullman, in the State of Washington, USA during April–May 2010. Her study focusses on food quality control, food chemistry, food safety and toxicology, shelf-life of foods and innovative food processing technologies on foods, beverages, and functional products. Her specific study areas are phenolics, phytochemicals, bioactive antioxidative components, food additives, bioactive lipids, their determinations by instrumental techniques, their effects on quality of food and beverages, oil-fats and functional food technologies and the novel food processing effects on food bioactives, food toxicants, and shelf-life of foods and beverages. Tokuşoğlu has conducted academic research studies, keynote addresses, and academic presentations at Geneva, Switzerland in 1997; Gainesville, Florida, USA in1999; Anaheim–Los Angeles, California, USA in 2002; Sarawak, Malaysia in 2002; Chicago, Illinois, USA in 2003; Szczyrk, Katowice, Poland in 2005; Ghent, Belgium in 2005; Madrid, Spain in 2006; New Orleans, Louisiana, USA in 2008; Athens, Greece in 2008; Anaheim–Los Angeles, California, USA in 2009; Skopje/Üsküp, The Republic of Macedonia in 2009, Chicago, Illinois, USA in 2010; Munich, Germany in 2010; Jamshoro, Sindh-Hyderabad, Pakistan in 2011; New Orleans, Louisana, USA in 2011; Boston, Massachusetts, USA in 2011; Natick, Massachusetts, USA in 2011; Damghan, Tehran, Iran in 2011; Osnabrück, Germany in 2011, Otsu, Kyoto, Japan in 2012; Chicago, Illinois, USA in 2013, Philadelphia, Pennsylvania,USA in 2013, Las Vegas,Nevada,USA in 2014, SanFrancisco-Albany,California, USA in 2014. She has professional affiliations at Institute of Food Technologists (IFT) and American Oil Chemists’ Society (AOCS) in USA and has a professional responsibility with Turkey National Olive and Olive Oil Council (UZZK) as research & consultative board member. As conference chair, she organized and directed the International Congress titled ANPFT2012 (Advanced Nonthermal Processing in Food Technology: Effects on Quality and Shelf-Life of Food and Beverages in 07–10 May 2012 at Kusadasi-Aegean, Turkey (www.anpft2012.org). She served as Organizing Committee Member at 2nd International Conference and Exhibition on Nutritional Science & Therapy Conference in July 2013 at Philedelphia-USA and Co-Chair at Food Technology 2014 Conference (3rd International Conference and Exhibition on Food Processing and Technology) in July 2014 at Las Vegas-USA. She is currently Chair at Food Technology 2015 Conference in August 10-12 at London-UK. Professor Tokuşoğlu is the editorial board member of the International Journal of Food Science and Technology (IJFST) by Wiley Publisher,USA and Polish Journal of Food and Nutrition Sciences (PJFNS) in Thomson Reuters. Tokuşoğlu has several editorial and reviewer assignments in Science Citation Index (SCI) and international index covered journals. Tokuşoğlu has published a scientific edited book titled Fruit and Cereal Bioactives: Chemistry, Sources and Applications by CRC Press, Taylor & Francis, USA and the book titled Food By-Product Based Functional Food Powders by CRC Press, Taylor & Francis, USA is also in progress. She has many research papers published in peer-reviewed international journals covered by the SCI and by the international index covered journals, international book chapters, international presentations (as oral and posters) presented at international congresses and other organizations. She was the principal administrator and advisor for the theses of four masters’ students; also one doctorate student and one masters’ students are in progress from 2014. Talha Müezzinoğlu in 1968 in Akhisar was born. Dokuz Eylul University Faculty of Medicine in 1991, after graduating in 1999, Celal Bayar University Faculty of Medicine urology expertise in the field Müezzinoğlu in 1997 Prostate Cancer diagnosis and Treatment arranged for rotational Assistant Education scholarship with the first uro started to work . in 2006, Professor in 2011, Professor title received . Laparoscopy, EndoUro and tumor surgery in 2007 for Heildelberg University and uroonchological Robotic Surgery for the year 2012 at Emory University in Atlanta working in the Müezzinoğlu still Celal Bayar University School of Medicine, Urology Department, Professor at the roster of academic life continues . Müezzinoğlu married and father of 2 children . His research interest are Clinical research, Oncology, Neuroscience, Internal Medicine and Surgery. Dr. Qi’s research has focused on the genetic, nutrition, biochemical risk factors and gene-environment interactions in relation to obesity, type 2 diabetes and the cardiovascular complications in diabetic patients. 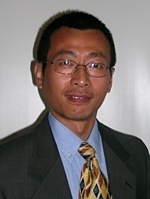 Dr. Qi is the Principal Investigator of two NIH R01 grants. the Principal Investigator of a American Heart Association Scientist Development Grant, and Co-Principal Investigator of European Foundation for the Study of Diabetes (EFSD) funded lifestyle intervention trial in Chinese women. As Principal Investigator, he is also leading a metabolomic study in two diet intervention trials funded by U.S. – Israel Binational Science Foundation. Dr. Qi’s research has focused on the genetic, nutrition, biochemical risk factors and gene-environment interactions in relation to obesity, type 2 diabetes and the cardiovascular complications in diabetic patients. Gabriela Riscuta MD, MS. CNS is a Program Director in the Nutritional Science Research Group at the Division of Cancer Prevention, National Cancer Institute .In this position she plans, develops, directs, and coordinates extramural research programs in diet, nutrition and cancer as related to cancer prevention. At NCI, Dr. Riscuta‘s role includes the examination of bioactive food components, i.e. essential and non-essential nutrients, as modifiers of cancer risk and tumor behavior. Some of her projects focus on determining how specific genes and/or molecular targets are influenced by bioactive food components. Her activities include grants management, mentoring students and organizing national and international webinars. Dr. Riscuta received a prestigious Merit Award in 2012 from NIH for the creation of a webinar series for physicians, researchers and those involved with research translation to understand the strength and the weakness of the evidence about the health effects of a food/bioactive food components. Dr. Riscuta also teaches Nutrition courses at Montgomery College, Rockville MD, both on campus and online. Dr. Gabriela Riscuta current research interests are foods and bioactive food components in relation to health, ageing, cancer prevention and immunocompetence. Her current research focuses on health benefits of probiotics, prebiotics and synbiotics, spices , coffee and mushrooms. Osama Ibrahim is a highly-experienced Principal Research Scientist with particular expertise in the field of microbiology, molecular biology, food safety, and bioprocessing for both pharmaceutical and food ingredients. He is knowledgeable in microbial screening /culture improvement; molecular biology and fermentation research for antibiotics, enzymes, therapeutic proteins, organic acids and food flavors; Biochemistry for metabolic pathways and enzymes kinetics, enzymes immobilization, bioconversion, and Analytical Biochemistry. Dr. Ibrahim was external research liaison for Kraft Foods with Universities for research projects related to molecular biology and microbial screening and holds three bioprocessing patents. In January 2005, he accepted an early retirement offer from Kraft Foods and in the same year he formed his own biotechnology company providing technical and marketing consultation for new startup biotechnology and food companies. Principal Research Scientist with particular expertise in the field of microbiology, molecular biology, food safety, and bioprocessing for both pharmaceutical and food ingredients. Education Ph.D., University of Pittsburgh, Exercise Physiology 1999 M.S., University of Pittsburgh, Clinical Dietetics and Nutrition 1994 B.S., Seton Hill College, Dietetics (Coordinated Program) 1988 Dissertation Topic Ergogenic effect of oral creatine monohydrate supplementation on anaerobic exercise performance. Thesis Identification of knowledge and skills required by beginning level dietitians to practice independently and competently in providing metabolic nutrition care.